GuideOne was founded in 1947 by William N. Plymat who was an insurance executive and attorney. A few years prior, the company was known as Preferred Risk Mutual Insurance Company, but changed its name in 1947. 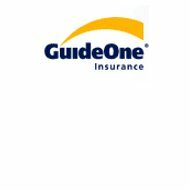 GuideOne offers home, life, and automobile insurance as well as health insurance and long-term care coverage. The company is licensed to underwrite insurance throughout the United States. GuideOne Agents can be found by entering your street address, city, state, zip code, and miles you are willing to travel into their quote request form. You can also choose whether you are interested in personal, commercial, or life products offered by GuideOne. Once you have submitted the requested information, a map will appear with all the agency locations and directions to the office. The site also provides the name, address, phone, fax, and email address of the agent. You can also see what products the agent offers as well as a link to the agent’s website. GuideOne offers individual and group medical insurance coverage. The company underwrites the policy using various insurance carriers. Detailed policy information is not listed on the site. Interested individuals must contact an agent. GuideOne offers long-term care policies, which cover home health care needs, home maintenance needs for the insured, adult day care coverage, assisted living, and nursing care coverage. Additional information regarding long-term care can be found by contacting an agent. Claims with GuideOne can be reported by phone by calling 888-748-4326. GuideOne employs its own claims adjustors rather than outsourcing these positions; this way you are dealing directly with company employees. GuideOne would like anyone who is suspicious of insurance fraud to call their fraud hotline at 877-448-4331 so that an investigation can ensue. You can also send an email to the Special Investigation Unit through the website. The website also provides the National Insurance Crime Bureau’s number if you would prefer to call them directly. Their number is 800-835-6422. In addition to these options, the site also has a form that can be completed and submitted. Once personal information has been filled out, including the reason for your request and how you wish to be contacted, a representative will get back with you. The website is also available in Spanish should a policyholder prefer to read Spanish. GuideOne career opportunities can be found on the company’s website. The company lists its openings by the job title, location, and whether the position is full time or part time. Once you see a position that is of interest, you can submit your application through the website by either logging into your account or establishing a new account. Your profile and application can be updated when you log back in to the website. They also assist in establishing flexible spending accounts. The employees are given paid time off and retirement savings plans. Bonuses and rewards are awarded to individuals who help the company meet their financial goals. Tuition reimbursement and reimbursement for undefined wellness programs are other benefits of working at GuideOne. The city of Des Moines has awarded GuideOne with the honor of being considered one of the best places to work. GuideOne is active in its community by donating time and money to local and national organizations. The companies that GuideOne sponsors are all listed on the website. There are mixed customer reviews for GuideOne. There are individuals who have been happy with their service for years and there are others who have had trouble getting the company to pay for claims. The difference in service seems related to the type of coverage the individual or company had, which would affect the enormity of the claim. GuideOne is rated “A” by A.M. Best.